For almost 3 years, I worked for a Congressman from Oklahoma. I spoke to Oklahomans daily, met with them in our office, and visited the great state. 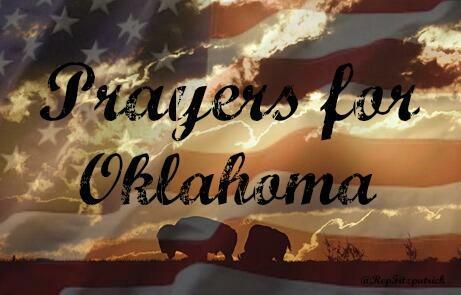 Oklahomans are strong and resilient people with profound faith. Watching all of the news coverage, I cannot even imagine what the people of Moore are going through, but I do know one thing. They will persevere and rebuild. Oklahomans do not give up, and they are fighters. Along with the rest of the US, I will continue to pray for everyone affected by this tragedy.